If you do, you will be forced to sit back down. 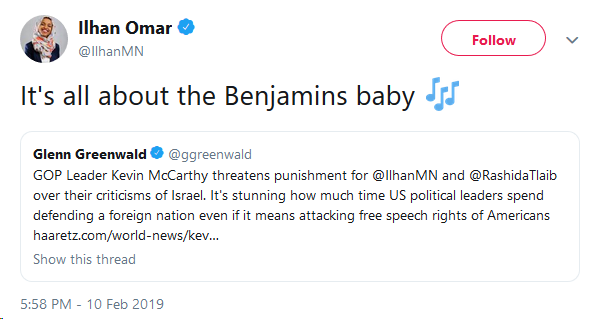 Rep Ilhan Omar, a new Justice Democrat in the Congress, recently stepped out of line to call out AIPAC, the Israel lobby to US Congress. 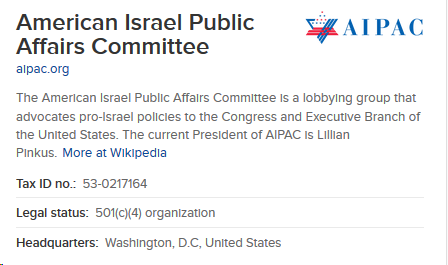 This is a factual statement: AIPAC does lobby Congress on behalf of the Israeli government to influence foreign policy. In other words, follow the money — because money dominates the political process. Another indisputable, common-sense statement. Lobbyists influence elected officials and government policy. The Democratic Party and its mercenary pundits came down hard on Rep Omar, accusing her flatly of Anti-Semitism and propping up “conspiracy theories.” Nancy Pelosi and other high officials in the Democratic Party published a letter calling for Rep Omar to apologize. Chelsea Clinton, as well, felt qualified to expertly weigh-in and call out Rep Omar, claiming that “as an American,” we should not — tsk tsk — be racist or whatever. Rep Omar was pressed to apologize when she had nothing to apologize for. And then, she apologized. 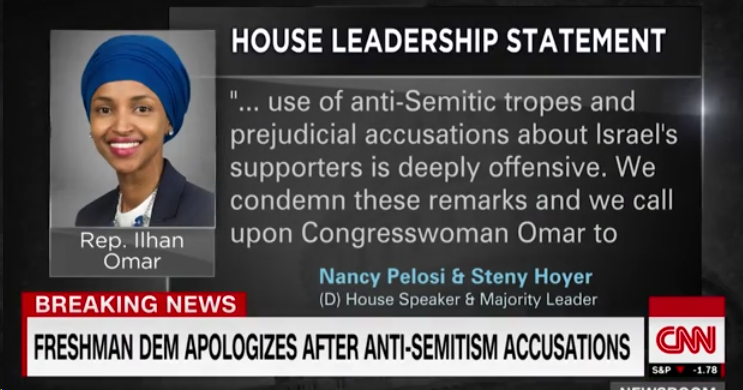 Later, Trump called on Rep Omar to resign from Congress “over her Anti-Semitic tweets,” using the Democrats’ outrage against her. This has happened over and over again, and will continue to happen so long as we continue to pursue a “political revolution” inside the Democratic Party. If you stand up for anything outside the establishment consensus, if you attack the powerful from within their own institution, you will be sidelined and demoted within the party. The Dems can manufacture outrage over anything they want, and they can control who is powerful within the party — on any occasion, and for whatever reason. At that point, it does not matter what you stand for or what you believe. It does not matter what you promised voters, or who you took your money from. By making one bold misstep, and poking the establishment, they can revoke your authority and legislative power in the party. This is why you cannot simply “vote for candidates based on their policies,” as is often the justification for voting for progressive Democrats. But perhaps there can be no such thing. Perhaps, you can not be progressive in an anti-progressive party. How can you, when your progressive policies and positions will simply be shut down within the party? What we need is a new party, an authentic coalition of organized opposition outside the establishment — so we can truly band together by the millions, and speak the plain truth to the powerful and the rest of the world. So that we can not just “speak,” either, but actually pass progressive policy. We need to become independent of the establishment… not dependent on it, as we currently are. Only then can we stand up and fight for real. Only then can we say “no” — bold and unashamed — to whatever we feel is wrong. And only then can we lay out our vision, rebuild our government, and pursue a just economy and better world for the 99 percent. Until then… we will always have to backpedal, concede, and admit defeat. Yes, even on the most basic statements and obviously-true positions.